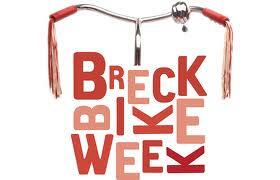 #Breckenridge Bike Week – Be Here! It’s coming up fast, so you need to get busy to be here! If you love bicycling, this is the place to be, as the League of American Bicyclists recently named Breckenridge a silver level Bicycle Friendly Community. Bike Week is a celebration of beauty and challenge, as bikers of all levels explore the backcountry around Breckenridge, enjoying an extensive, interconnected trail system that can be accessed from just about anywhere in town. The trails connect across hundreds of miles of great riding in Summit County, with trail levels for bikers of all skill levels. There are plenty of FREE activities during Breck Bike Week , including high-end bike demos, guided group rides, free bike tune ups and bike clinics, kids’ races, and much more. Bike Week culminates as the US Pro Cycling Challenge, a professional road bike race, ends in Breckenridge, after a grueling 11,500 foot climb up Hoosier Pass, and then ending in Breckenridge. Summer is fabulous in Breckenridge, but then, so is fall with its’ blazing color, Oktoberfest, and preparation for world reknown skiing and boarding during winter and spring. 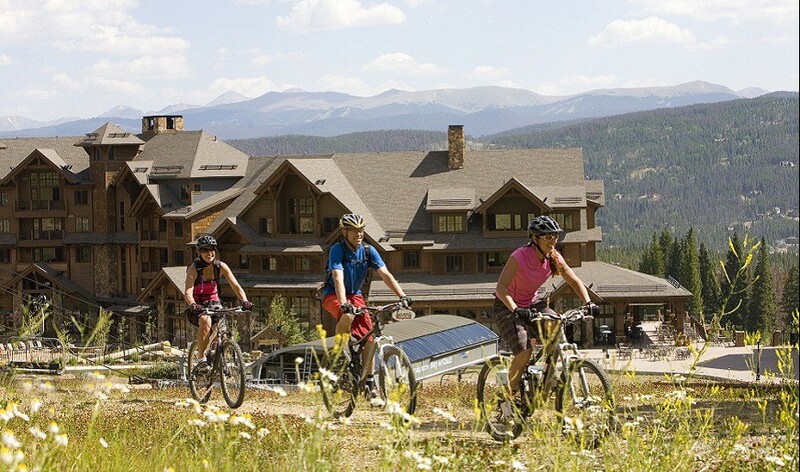 Truly a four season community, there is no time where you wouldn’t rather be in Breckenridge. No matter where you live, if you love the magnificence of the Rocky Mountains, Breckenridge Colorado should be your second home. Fractional real estate is a great alternative to whole home ownership, creating the opportunity to own a stunning second home at a fraction of the cost. You own the deed and it is a mortgage, very different from the time share model. Grand Lodge on Peak 7 is the perfect place to call home, sitting at the base of Peak 7 with ski in, ski out access to the slopes, casual elegance, and world class amenities. The difference is that you enjoy all the comforts of home, and with luxury fractional real estate it is only a fraction of the cost of whole home ownership. There are luxury condos available from studio to four bedroom, so you choose what is right for your needs. There are still some inventory available at Grand Lodge on Peak 7, but the remaining units won’t last long. If you want to own a second home at a fraction of the price on the slopes in Breckenridge, AND enjoy Bike Week in Breckenridge, you really do need to get busy NOW. Make Grand Lodge on Peak 7 your second home. Come back again and again to refresh and renew, without hassle. Just relaxing and reinvigorating. Find out how to make it your home away from home. Pick up the phone and call Brent Henry, Senior Broker, and let him know what you are hoping for. Brent’s number is 970-485-2117. He will help you find the perfect home away from home for you. There is no better fractional real estate opportunity out there in all of Summit County, just ask the owners at Grand Lodge on Peak 7! Or, use the convenient contact form below for a no-obligation, no pressure consultation with Brent. This entry was posted on July 19, 2014 by elevatemarketingaz. It was filed under Breckenridge Real Estate, Breckenridge, CO Real Estate, Fractional Ownership Real Estate, Fractional Ownership Real Estate Breckenridge CO, Fractional Ownership Real Estate Summit County Colorado, Fractional Ownership Real Estate Summit County, Co, Fractional Real Estate Breckenridge, Fractional Real Estate Breckenridge Colorado, Grand Lodge on Peak 7 Breckenridge, Colorado, Luxury Fractional Real Estate, Luxury Fractional Real Estate Breckenridge CO, Luxury Fractional Real Estate Breckenridge Colorado, Luxury Fractional Real Estate Summit County, Co, Luxury Fractional Real Estate Summit County, Colorado, Real Estate Breckenridge, Real Estate Breckenridge Colorado, Ski In, Ski Out Luxury Condo Breckenridge Co, Ski In, Ski Out Luxury Condo Breckenridge Colorado, Ski In, Ski Out Luxury Condo Summit County, Co, Ski In, Ski Out Luxury Condo Summit County, Colorado, Summit County Co Real Estate, Summit County Colorado Real Estate, Summit County Real Estate and was tagged with Breckenridge Colorado, Breckenridge Colorado condos, Breckenridge Colorado skiing, Breckenridge luxury condo sales, Brent Henry Breckenridge real estate broker, Grand Lodge on Peak 7, ski_in_ski_out Breckenridge condo, Summit County Real Estate.